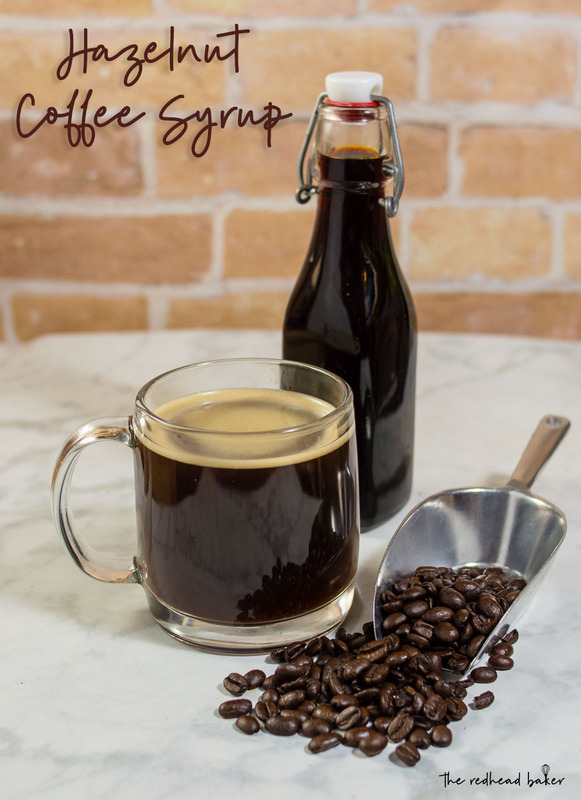 It’s so easy to make your own delicious hazelnut coffee syrup at home! It only takes three ingredients and a few minutes. Welcome to Day 2 of #BrunchWeek. Thanks to our sponsors for the generous samples they sent to each blogger, and for the prizes they provided for our giveaway! Head over to my sponsors and giveaway information post to read about the prizes and enter to win! I love coffee. I drink at least 16 ounces a day. It’s not so much that I *need* it (I mean, that first cup is crucial to my being able to function), is that I really love the taste of coffee. Whether brewed at home, or purchased from a coffee shop, I drink a lot of coffee. I also love flavored coffee. Caramel, mocha, vanilla, hazelnut … I often get these when I purchase coffee from a shop, because decent flavored syrups can be rather expensive considering the ingredients are mostly sugar and water. But with LorAnn Bakery Emulsions, you can make your own homemade syrups for half the price. And since the flavored emulsions are suspended in a base of mostly water, rather than alcohol like traditional extracts, the flavor doesn’t fade when added to hot mixtures or baked. 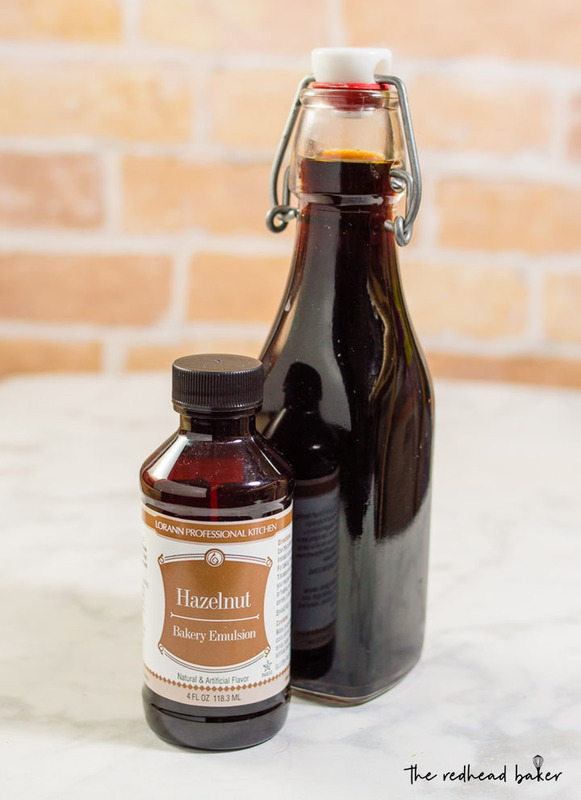 This hazelnut syrup will work equally well in both regular hot and cold-brew coffee, as well as other beverages like cocktails. You can also use the same base of sugar and water, and add different LorAnn Bakery Emulsion flavors, like raspberry, and add it to lemonade. 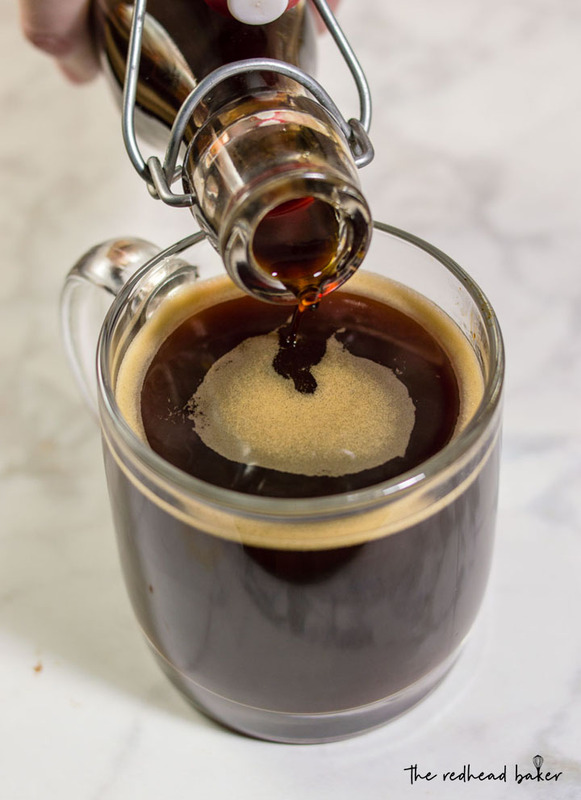 Since this Hazelnut Coffee Syrup is made with sugar and water, you won’t need to add extra sugar to your coffee. I prefer my coffee lightened, so I still add a splash of half-and-half to my cup. Kept in an airtight bottle or container in the refrigerator, this syrup will keep for one month. Combine the water and sugar in a medium saucepan. Set over high heat and bring to a boil. Let it cook at a boil for 2 to 5 minutes, depending on how thick and sweet you want your syrup to be. The longer it boils, the thicker and sweeter it will be. Remove from the heat. Stir in the LorAnn Hazelnut Bakery Emulsion. Transfer the mixture to a heatproof glass measuring cup, and add enough water to make 2 cups of liquid (this will vary depending on how long you boiled your syrup). Let the syrup cool at room temperature until no longer warm. Transfer to an airtight container and store in the refrigerator. Add the syrup to your coffee according to your taste preference. I’m not a coffee drinker but I can’t wait to try this hazelnut syrup. Sounds so light and I bet it makes my coffee tastes amazing! 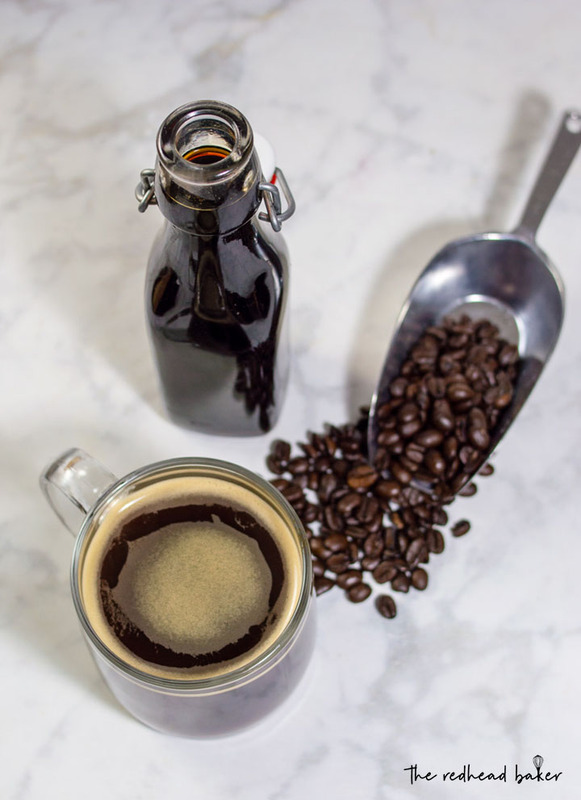 Oh the possibilities for this coffee syrup are endless. This would be the perfect gift!! I love hazelnut in my coffee. So good! Love this, and I have the hazelnut emulsion at home. How long do you think this would keep for? I am a little confused. If it’s only water, sugar and the hazelnut emulsion why does it have to be refrigerated? It’s because there’s not enough sugar to water to prevent mold growth. Thanks for reading The Redhead Baker!